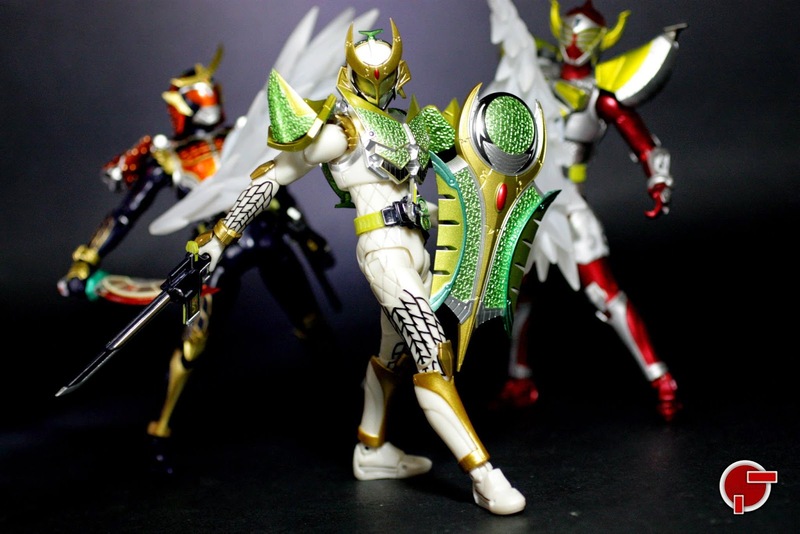 The third S.H. 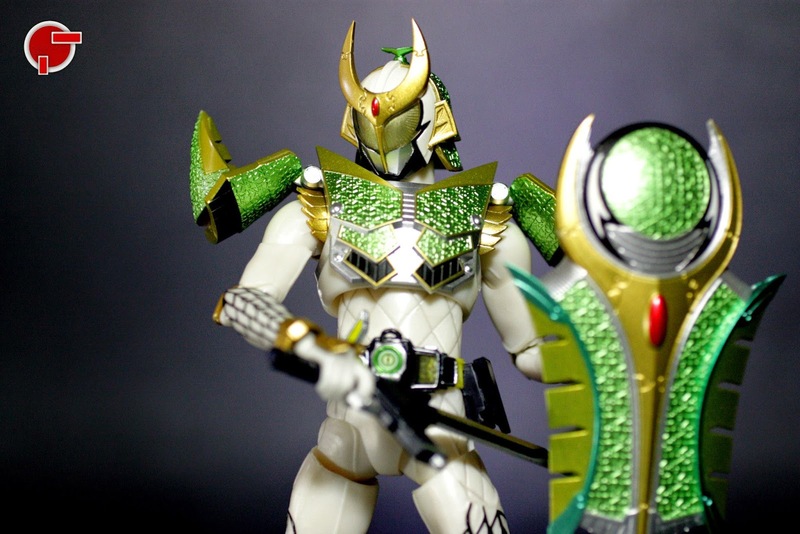 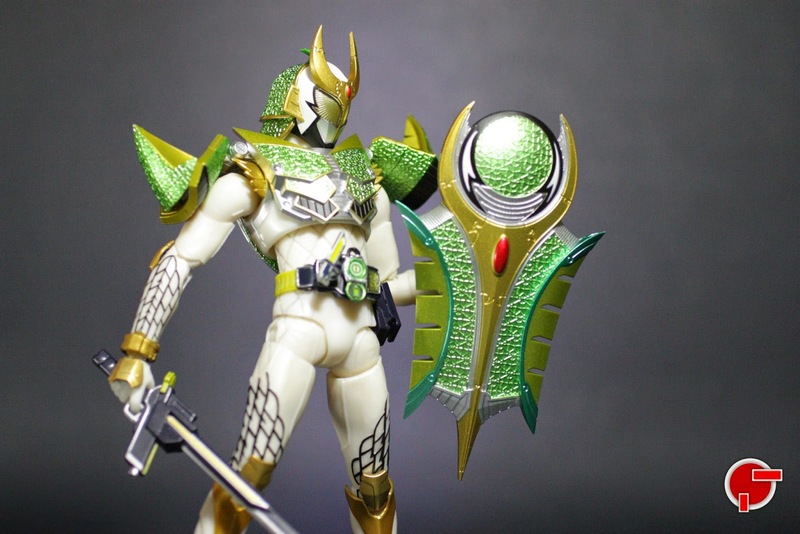 Figuarts released is the corporate head, Kamen Rider Zangetsu Melon Arms. 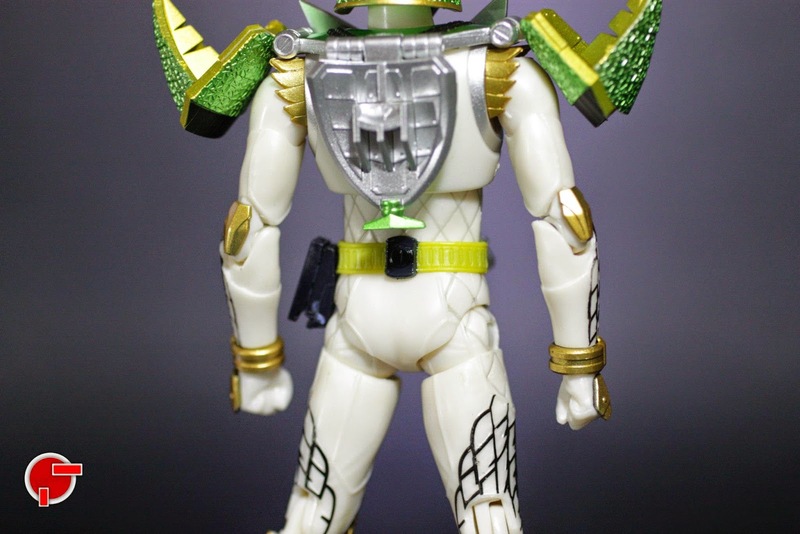 His figure form uses a white base suit then added with muskmelon-based armor, complete with Melo Helmet and his Pulp Eye. 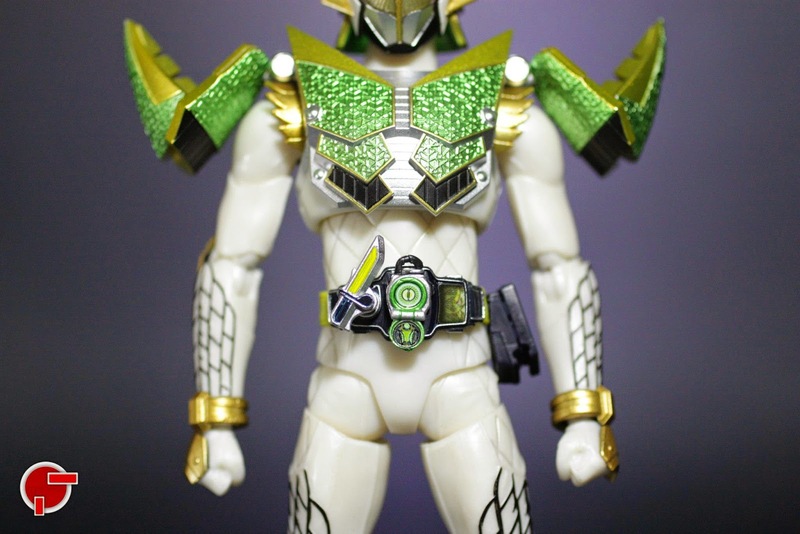 This figure also has the Sengoku Driver with his own faceplate and the Melon Lock Seed attached in the middle. 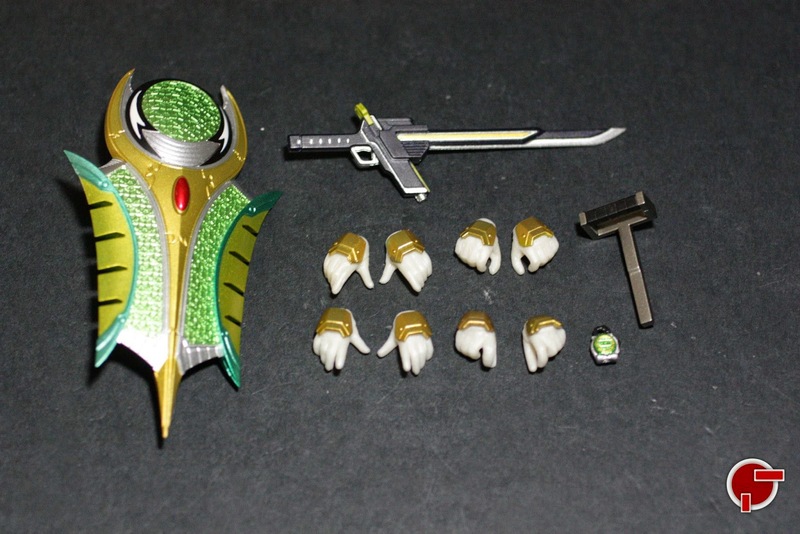 The set comes with his Melon Defender and an additional handle, the Musou Saber, a closed Melon Lock Seed and 8 additional hand replacements. 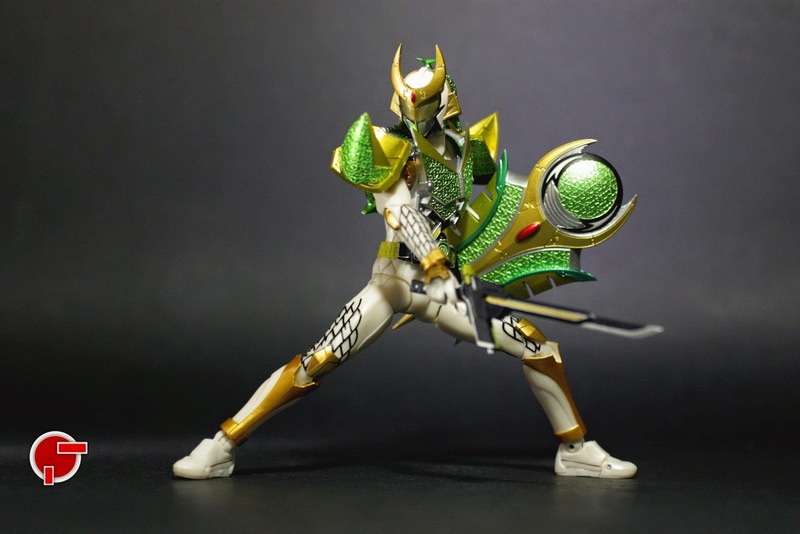 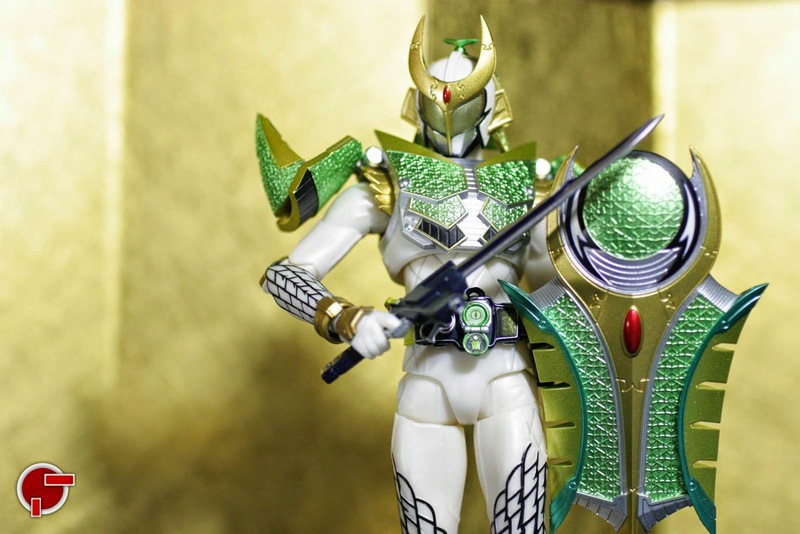 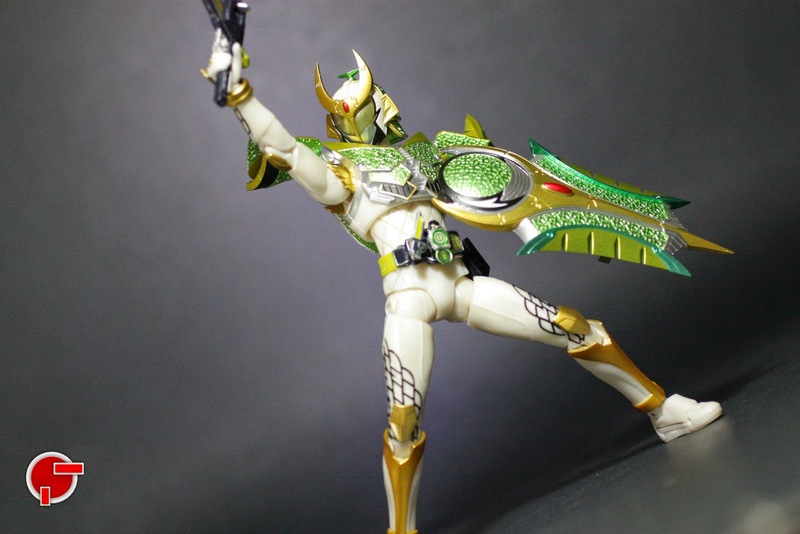 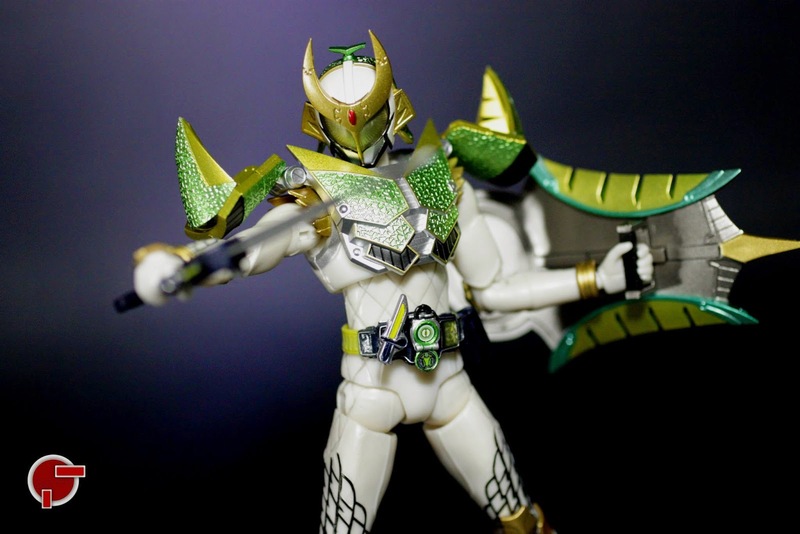 There are a few attributes that follow Kamen Rider Gaim, such as the holster to put on the sword, the Lock Seed that can be removed from the belt and connects with the sword. 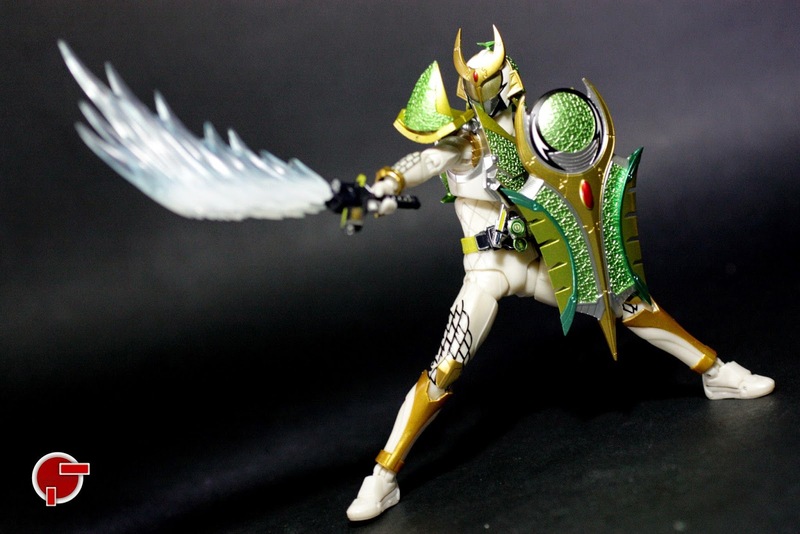 There are a few ways for Zangetsu to hold the Melon Defender. 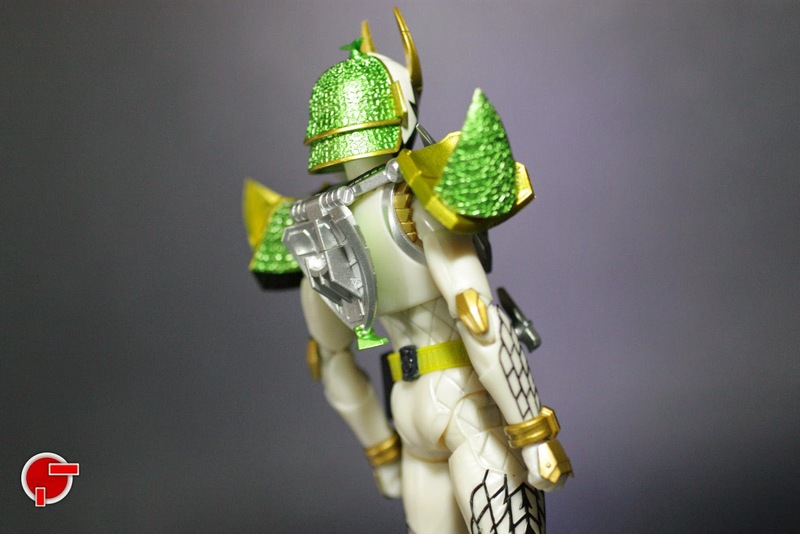 First is to hold as a normal shield, and by replacing the handle, this now braces on closer to the figure’s arm. 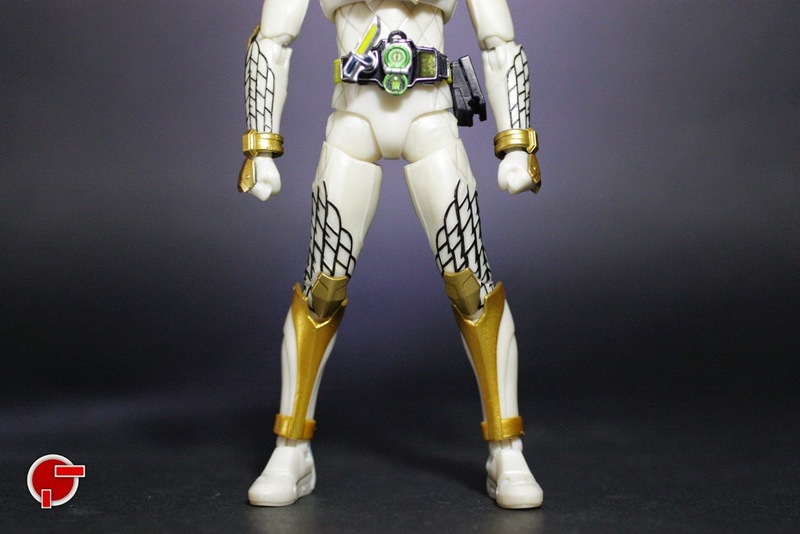 If there is one thing off this figure is the white enamel mold on the suit. 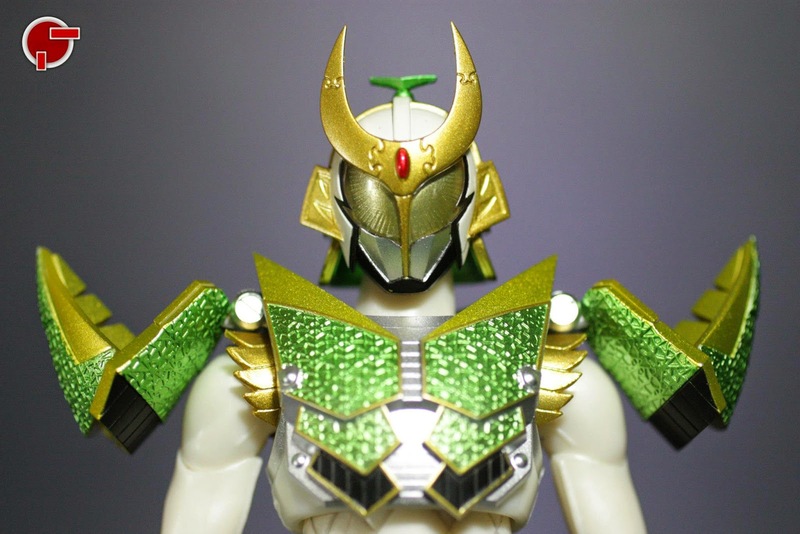 I could also nitpick the neck joint being a tad bit long but this can be easily adjusted. 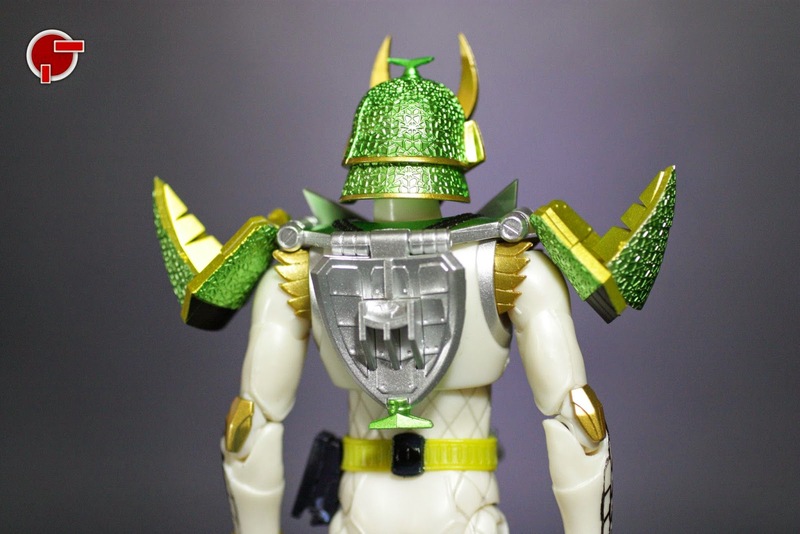 But overall, I think Bandai really captured the essence of the strongest Sengoku Driver wielder and the accessories that came with the set, simply justifies the price. 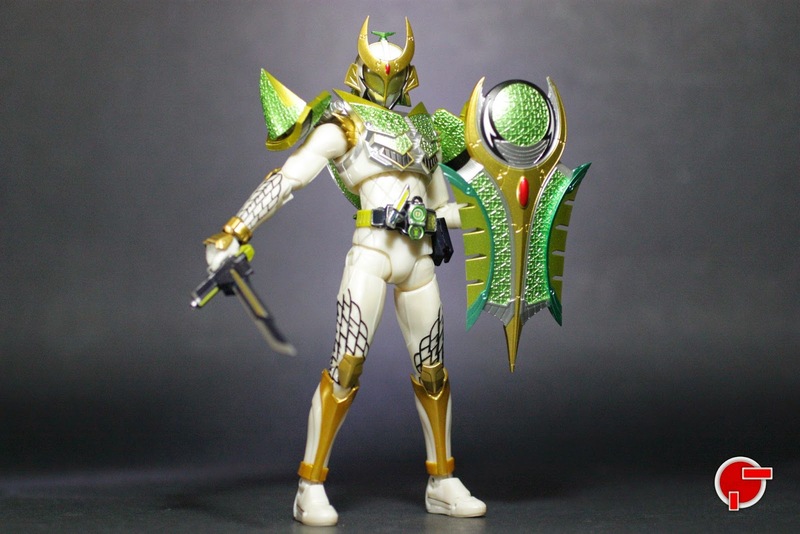 Aside from Gaim, this can be one of your favorites in this S.H. 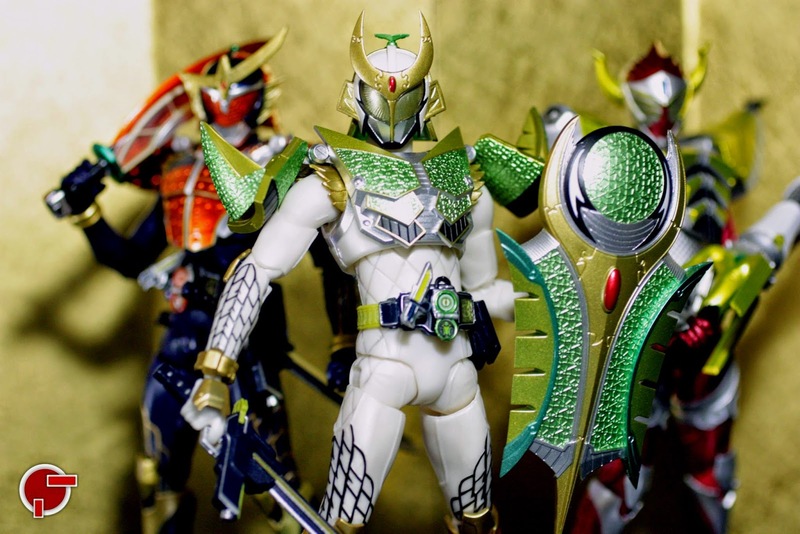 Figuarts series.